Spending despots’ riches on refugees: a good proposal? A former Canadian foreign minister wants money seized from despots to be used to help refugees – a proposal being pitched Thursday to UN ambassadors and international organisations in New York. There are currently an estimated 68.5 million people driven from their homes by war, famine and disaster, the report said. “So many people are on the move, and the financial system of supporting and protecting refugees is under real risk,” Axworthy told AFP. Axworthy proposes turning to the courts to seize funds languishing in accounts frozen due to sanctions, which he says the World Bank has estimated to be in the tens of billions of dollars. There is a precedent for such a move, he said, pointing to a civil case in France against the son of the dictatorial leader of Equatorial Guinea that resulted in a US$34 million judgment, two-thirds of which was later used by a charity to help the country’s people. Last week, the World Refugee Council took its recommendations to the African Union, which has agreed to implement some of them regionally. The report also cites massive migration from Myanmar, Syria and Sub-Saharan Africa. And it notes that the United States – once the leader on refugee resettlement – in 2018 took in the lowest number of asylum seekers in four decades. “The humanitarian commitment of nations, once a norm, has given way to nativism. Xenophobia has gathered force in America, Europe, Australia and elsewhere,” the report warns. 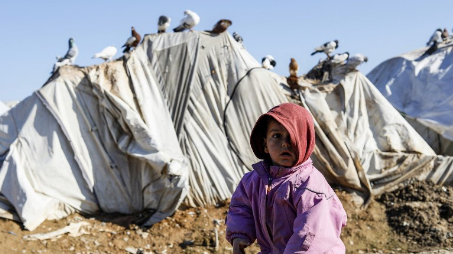 Beyond humanitarian concerns, the crisis has fuelled political instability. The report cites the example of a “progressive weakening” of the European Union because of its inability to provide “timely and comprehensive solutions for refugees,” leading to Brexit.